Why Bala Tripura Sundari Yantra? Goddess Tripura is the ultimate, primordial Shakti, the light of manifestation. She is the garland of letters of the alphabet and said to be the one who gave birth to the three worlds. She is called “the beauty of three worlds”. At dissolution, she is the abode of all her devotees. Vidya means knowledge, specifically female knowledge, or the goddess, and in this context relates to her aspect called Shri, Bala or Tripura Sundari whose magical diagram is called the “Shri Yantra” or the “Bala Tripura Sundari Yantra”. Bala Tripura Sundari is depicted as a red flower and is known as the red Goddess. She is worshipped as a nine year old female child deity who will fulfill all your desires in life. The energy release of the Yantra will bring a positive tinge to your life; it will add the elements of love, beauty, joy and happiness to your life. The radiations of the Yantra will bring you and the Goddess into direct contact. The energy will soothe your inner peace and will gift you with beauty, happiness and prosperity. These power lines attract the amiability of the Goddess opening doors for your harmony and success. Offering your dedicated prayers to her Yantra will draw the Goddess towards you; she will guide you in every effort of yours and bless you with everlasting peace and a blissful life. 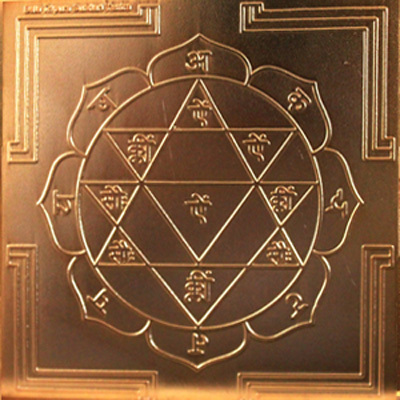 How to Use the Bala Tripura Sundari Yantra ?